Freeland: NAFTA talks "are back on an intensive track." However, Canada wasn't part of talks between U.S. trade representative Robert Lighthizer and Mexican Economy Minister Ildefonso Guajardo in Washington, D.C. on Aug. 3. Meanwhile, Canada's ambassador to the United States says predictions that NAFTA talks can be settled by the end of month are "aspirational" — even if American and Mexican officials are close to resolving their differences on complex auto sector issues. But David MacNaughton supports the push towards the ambitious goal and says Canadian negotiators are prepared to put in the long hours to help make it happen before the end of August. MacNaughton was closely following NAFTA talks in Washington on Aug. 3 between U.S. Trade Representative Robert Lighthizer and Mexican Economy Minister Ildefonso Guajardo, whose governments have both expressed optimism a deal could be hammered out this month. "I would describe it as aspirational and I think there's nothing wrong with aspiring to get everything done by the end of August and certainly we're going to be available 24-7," MacNaughton said in an interview when asked whether he thought it would be possible to get the deal done within that timeline. Media outlets reported last week that Guajardo predicted there was a very good chance the U.S. and Mexico could sort out their bilateral NAFTA differences next week. 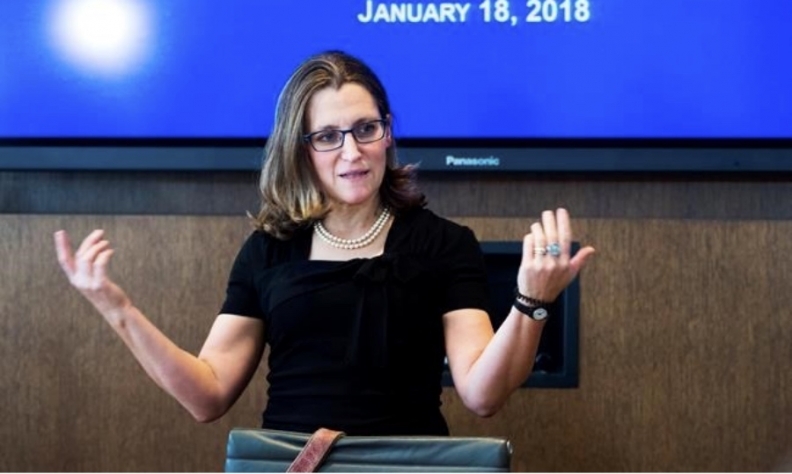 In his interview earlier in the day, MacNaughton said next Canadian negotiators could be back at the table as early as next week for three-way talks. U.S. President Donald Trump slapped Canada and other allies with duties on steel and aluminum imports, which led to a retaliatory levies from Ottawa. Trump has also threatened to impose far more damaging tariffs on the auto sector and, as he left the June G7 meeting in Quebec, he called Prime Minister Justin Trudeau "very dishonest and weak." Veteran trade strategist Peter Clark said last week that those who think NAFTA can be concluded by the end of the month are "dreaming."